There is a pretty interesting conference starting tomorrow and Alda encourages all to attend. It´s held at the University of Iceland at Askja and starts around 9 am. Among the lecturers are world renowned scholars for example James S. Fishkin. Alda takes part in the conference on Saturday at a discussion panel from 10-12 pm at Askja. Program for the conference is available here. 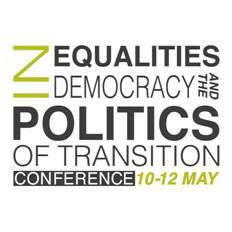 EDDA – Center of Excellence at the University of Iceland, in collaboration with Raymond Aron Center for Sociological and Political Studies (CESPRA) at the Institute of Advanced Studies in the Social Sciences in Paris (EHESS), will host an international conference entitled In/Equalities, Democracy and the Politics of Transition. The conference will take place on 10-12 May 2012 at the University of Iceland. For further information, please visit the conference webpage. To view the conference program, please click here. Within the context of the political, cultural and social responses to the current global economic crisis, the aim of the conference is to bring together academics in the field of politics, philosophy, gender studies, history, literary criticism, and law to discuss problems of societal transitions from various thematic and national perspectives. Special attention will be devoted to democratic experiments, political participation and reconstruction discourses, which is the subject of a joint research project between EDDA and EHESS. The conference will focus on the following topics: democracy and collective decision-making; constitution-making and the Icelandic Constitutional Council/Assembly; in/equality, well-being and politics; political participation, and popular mobilization; transitional justice and engagement with national pasts; and national narratives and political cultures. The conference is sponsored by EDDA – Center of Excellence, the Institute of Advanced Studies in the Social Sciences in Paris (EHESS), the University of Iceland, the Ministry of the Interior, City of Reykjavik, Bifrost University, and the French Embassy in Iceland.